YYM caught this in traffic yesterday. 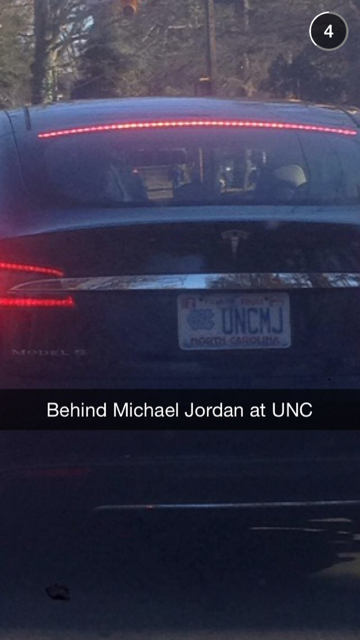 As in, "I'm at a stoplight behind Michael Jordan." Labels: arbitrage in a basketball economy, will you drive my car? "pretense of knowledge + Math = Economics"
Kudos to you sir. Well done.